Read more about GRAMMY Museum Mississippi on their website. 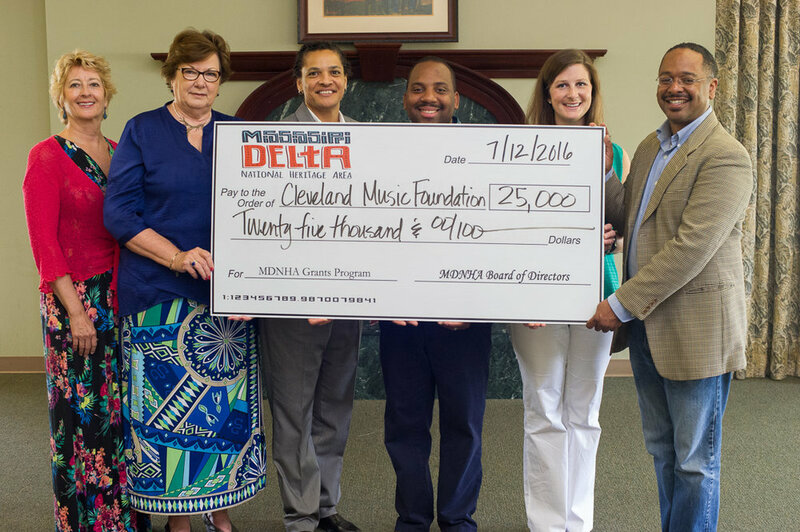 (L-R) MDNHA grant committee chair Kim Terrell and MDNHA chair Dr. Myrtis Tabb present the grant to DMI instructors Victoria Jackson, Travis Calvin, and GRAMMY Museum MS education manager Jane Marie Dawkins, with MDNHA executive director Dr. Rolando Herts. Designed to develop and provide inclusive and accessible learning opportunities using music as a gateway to learning for K-12 students, this project informed students of the rich cultural and musiclal heritage of the Delta and inspired them to create original works that engaged others within and outside of the Delta region. 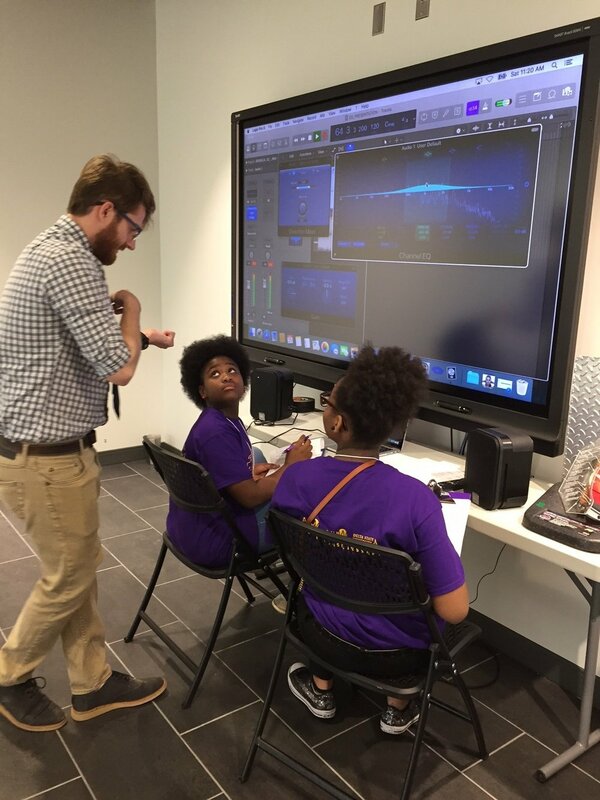 K-12 students learned about music and music industry studies skills, had new opportunities to interact with music industry professionals, got to try musical instruments, audio recording stations, and songwriting. Teachers learned how to integrate music with other core subjects, supporting exposure to music for school systems that don’t provide music education programs. The MDNHA grant supported 9 workshops and 2 educational programs with special guests that together served 1192 students and educators. Special guest Sharde’ Thomas presented a workshop on the Mississippi fife and drum tradition to the Fast Track Summer Music Camp. Special guest David Porter spoke to students about pursuing careers in the music industry. Special guest and GRAMMY award winner Bobby Rush sang with students and answered their questions. DMI counselors, promotional materials, computers and jumpdrives for workshop use were also supported by grant funds. The GRAMMY Museum is an exciting and interactive celebration of the power of music occupying a vibrant new space in Cleveland, Mississippi. Cutting edge exhibits, interactive experiences and films provide a one-of-a-kind visitor experience — engaging, educational, celebratory and inspirational. 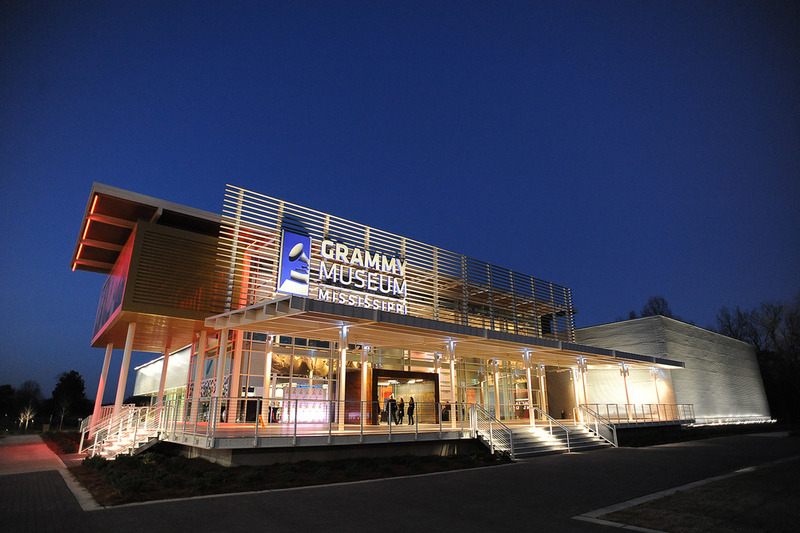 The GRAMMY Museum MS provides unique learning opportunities based on the enduring legacies of all forms of music; the entire creative and technological processes of recording; and the history of the GRAMMY Awards® with a focus on the continuing achievements of Mississippians. Keep up with GRAMMY Museum MS at their Facebook page.